GPS in Sport: Big Data Analysis or Big Brother Watching? The ‘Big Data‘ society that is developing around us is rapidly crossing over into the sporting world. The collection of fitness data is a staple in most coaches’ arsenal though as we creep out of the participation domain into the realms of competitive and elite level performance, the use of performance analysis has been a growing culture over the past 2 decades. From hand notation to time motion analysis and at elite levels of sport the introduction of complex computer analysis systems such as pro zone and game breaker, our need and want to collect data on our athletes is ever present. But that was just the beginning. The evidence of ‘Big Data’ making its mark on the sports world comes no bigger than the use of GPS. According to Aughey (2011), initial research into using GPS to track human locomotion appears to have been published in 1997 and whilst it’s use became commercially available for sports in 2003, further validation of GPS use in sports did not come about until 2009-2010. Like all new technologies, GPS has developed at a rapid rate since it’s arrival in 2003, especially with regards to the frequency sampling rate that the dataloggers use to collect information. Early versions of GPS technology used dataloggers, that had a frequency sampling of 1Hz, were useful for collecting data over long distances at relatively steady-state intensities (for example in sports such as cycling and running). However, as researchers began to investigate the use of GPS technology in analysing performance in game related sports, a 1Hz sampling rate was reported to show inaccuracies in the collection of some data. Aughey (2011) discusses that the shorter distances, higher intensities and the introduction of change of direction, that is inherent in game related sports, we’re too much for a 1Hz sampling rate to accurately handle. However, not wanting to be outdone and to meet the growing demands for more data, GPS manufacturers have developed their systems to staggering levels. Catapult GPS have worked through 5Hz systems and their latest S5 units boast an impressive 10Hz sampling rate. GPSports on the other hand go one better with market-leading 15Hz data logging units in their latest systems. Whilst it would be logical to assume that higher sampling rates would lead to more accurate data collection, Johnston et al (2013) discovered that the 15Hz systems showed lower validity for distance travelled and average peak speed than that of the 10Hz units, though the authors conclude that comparisons should not be drawn between 10Hz and 15Hz systems as both are significantly more effective than 1-5Hz sampling rates. However, positioning and location are not all that these new systems do. Fitted with accelerometers, gyroscopes, inertial movement analysis (IMA) and heart rate monitor compatibility, these pocket-sized devices have the capability to know more about you than you know about yourself! For a snapshot of some of the data that can be collected, have a look at these key performance variables suggested by GPSports. We have access to a Catapult system at our institution and I would argue that I have no idea what 75% of the available performance indicators are or how they could be used. 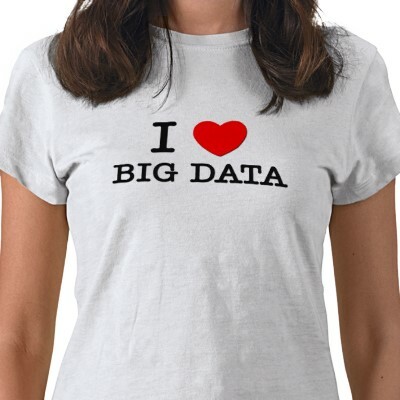 So, a big tick for ‘Big Data’. GPS clearly allows us as coaches to access a whole lot of information that is not available to the naked eye. Our subjective assessments of what is unveiling before our eyes can now be supplemented with numerous objective data, so we can make a much more informed analysis of what our athletes are actually doing. Now of course there are numerous benefits to this data. Jennings et al (2010) conclude that the information gathered through GPS data collection can play a huge role in better understanding the demands of the sport, developing specific and individualised training programs. Check out here how Munster Rugby are using GPS technology. In addition Aughey (2011) stresses the importance of monitoring training and competition loads in order to prevent overtraining and injury. But are we getting caught up in all of the data? Can too much data be dangerous? Is there a possibility that, in the wrong hands coaches can use the masses of data against players in selection decisions and even high profile, lucrative player contracts? Perhaps the late great Arthur Ashe had a point when he first uttered his ‘paralysis by analysis’ quote. What happens when a coach is faced with situations that they have no data for? Is ‘Big Data’ stifling coaches’ instincts and creativity? Are we creating a ‘coaching through fear’ environment, where players feel like they are constantly being watched? Coach Rawson mentions in his post ‘Do global positioning systems have a future in sport?‘ that cyclists have ‘no place to hide’… An interesting concept, that maybe reinforces the ‘Big Brother’ approach that ‘Big Dat’ accommodates. GPS… I get it, and dare I say it, I like it… love it even, but I still have questions over some of the potential dangers of ‘Big Data’ in sport. In an age where we are asking for more holistic approaches to our coaching practise, is the art slowly being bullied by the science, again??? Your views are always welcome and I would love to hear your experiences of ‘Big Data’ in your sports. Thanks for reading.